After leaving the small town of Campra and arriving in our new town, where we thought we would be based for some time, we were back in the van once more only a few days later and heading to some German Cup races at Nortschrei in the Black Forrest. It was a bit of a skate fest with a skate sprint and a 10km skate; All four of us guys (Mark, PK, Callum, Myself) and Ester were racing both and we had heaps of support with Finn, Simbo and Fabian all wax teching for us. I was hoping to be fresh and ski well after the last weekend where I didn’t ski greatly. The sprint went fairly well but the snow was pretty tough to ski on because a lot fresh had just fallen making it hard to put the power down. 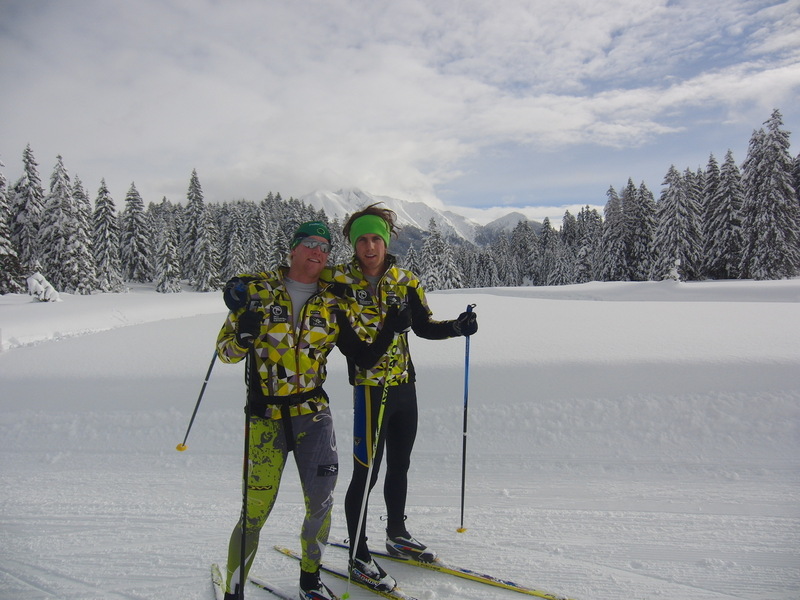 I skied solidly and was with the way I raced the course. I was 12secs back from the winner which was a little disappointing as I would have liked to be closer to the leader but I qualified for heats which I was happy with. In my heat I came through in 3rd only a couple of metres off second with the possibility of getting to the next round with the lucky looser rule, but this didn’t work in my favour as I did not move through to the next round finishing in 15th. The heat was quite aggressive with guys boxing others in not worrying about breaking poles but was good experience and I look forward to the next time I race heats to have another crack. The 10km skate the next day was on one of the harder FIS courses I have raced on and I made sure I went out more conservative to avoid blowing. This worked well on the 2.5km course as I moved up the positions in the 2nd and 3rd laps, the last lap was brutal and I had to work hard to keep it all together, finishing 2:50 behind, I was happy to have gone better than the last week. After racing we drove straight back to Seefeld in Austria where they had had one of the biggest snow storms yet making for some sweet days of skiing. We have now been here for four days and Callum and I are having a day off tomorrow before heading to Millan to race the sprint team sprint World Cups on the Saturday and Sunday. 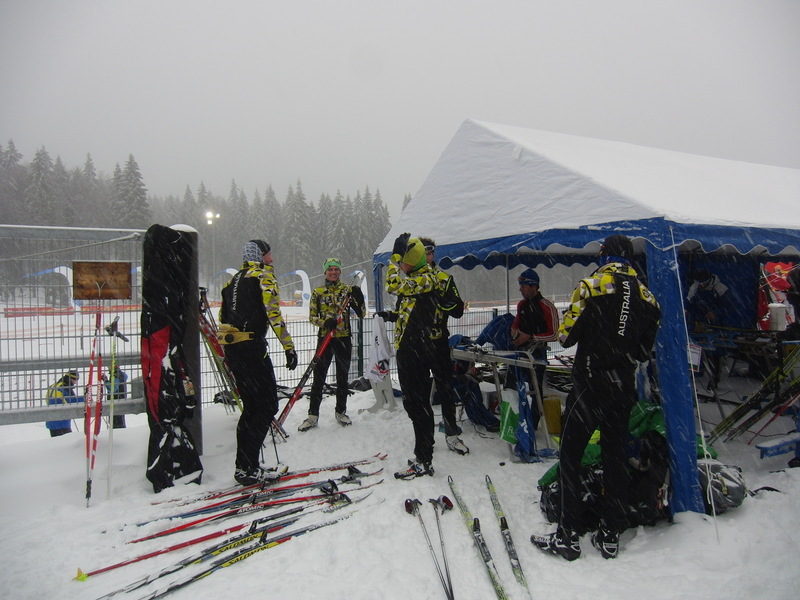 This entry was posted on January 12, 2012 by Phillip Bellingham XC Ski. It was filed under Uncategorized . Good luck in the World Cup sprints in Milan this coming weekend. Enjoy the experience!!!! !